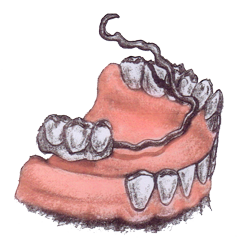 This denture – which is perceived as uncomfortable and complicated – is made of both plastic and metal, which affects its look. It’s expensive to fabricate due to its many parts. However, the installation process is simple and the natural teeth are spared.